is a company that provides printing services for advertising products. Our main office is located in Kuala Lumpur (KL), Malaysia. We specialize in large printing for signboard and decor printing for event booth. 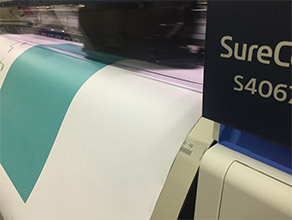 Artive Design uses the latest wide format printing machines to print our customer's printing works. We also provide onsite consultancy & installation services. A promotional method used to increase company exposure in competitive markets to sell goods or services more effectively. A printing service that prints out the specific design or artwork that follows according to the customer’s printing needs.